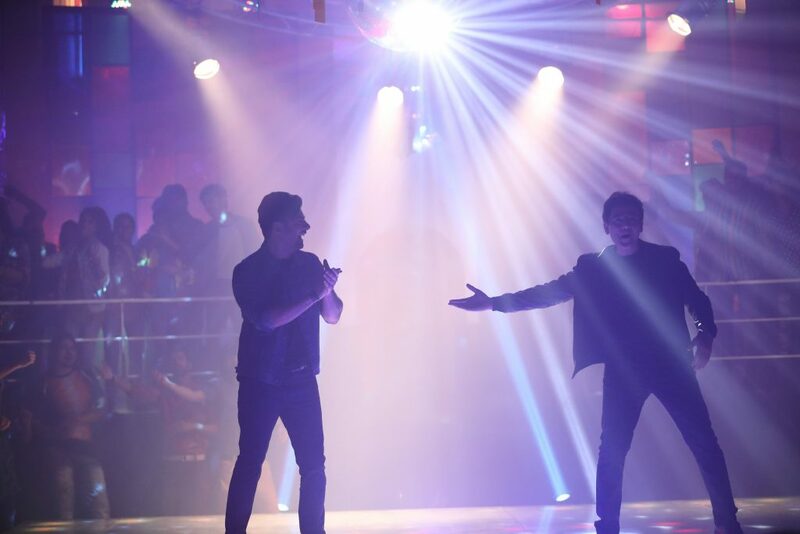 Yes can you believe this, two of the biggest sensations of our nation Fawad Khan and Zoheb Hassan pictured together bringing out the groove and making us nostalgic for some disco Deewane vibes! We can’t exactly make out what they are going to be bringing for us however, we can surely say that it definitely looks big! Now this one got us really curious, the super talented Shahi Hasan all geared up to give a swinging performance. 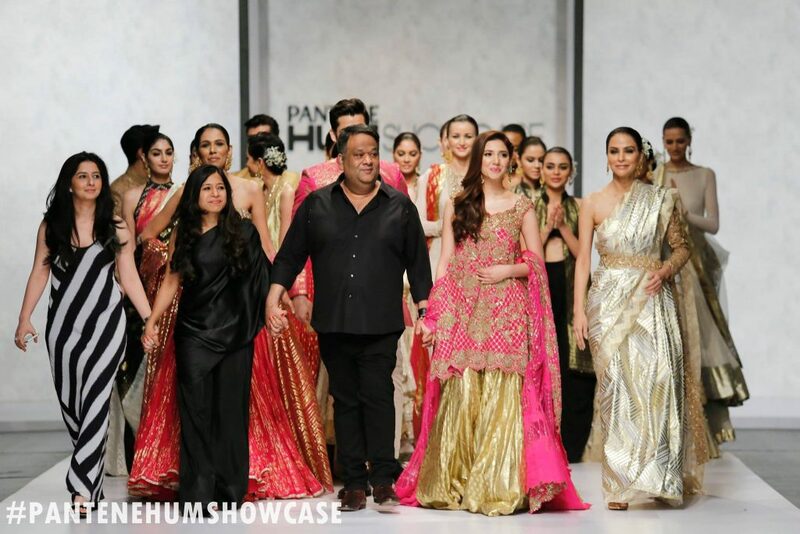 With all these pictures going around one thing that has got our mind running is the fact that Fawad and Zoheb might be coming together for a gigantic performance. The setting, the feel and the vibe that we are getting is a complete disco setting which has been giving everyone major throwback feels. Watching Zoheb rocking those killer moves on the floor has revived the spirit of the 80’s with full vigor. 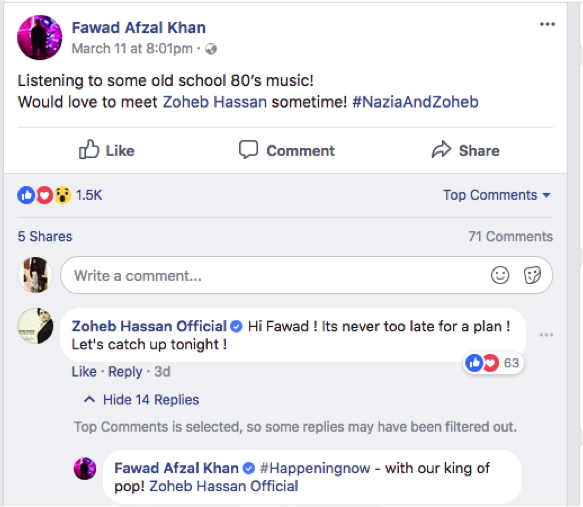 This status put up by Fawad Khan has been making huge waves and with Zoheb and Shahi commenting about jamming together we think that these three might be up to something new. To add to this, a little teaser by Pepsi has us on the edge of our seats! Knowing that there might be a chance to see all of these signing sensations come together and combine for a project or campaign is going to be absolutely epic. 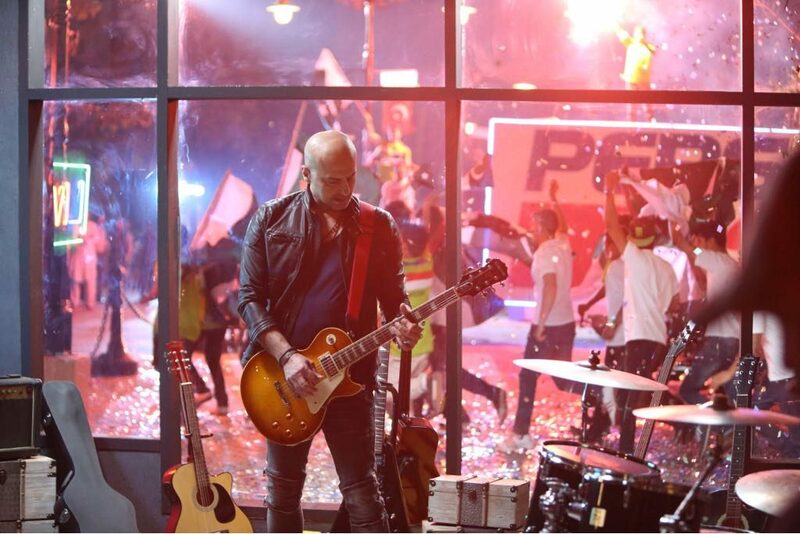 Furthermore, wouldn’t it be exciting to see the talented Reema back in action in a new Pepsi commercial? We can’t wait to see it unfold. With so many electrifying new things to look forward to, we are sure of one thing; Pepsi has planned something enormous for us that might be a revival of true pop culture combined with nostalgia and patriotism. Previous articleThe Mystery of the Snapping Fingers has been Solved! Next article#PepsiGenerations: Reema Khan makes a COMEBACK!